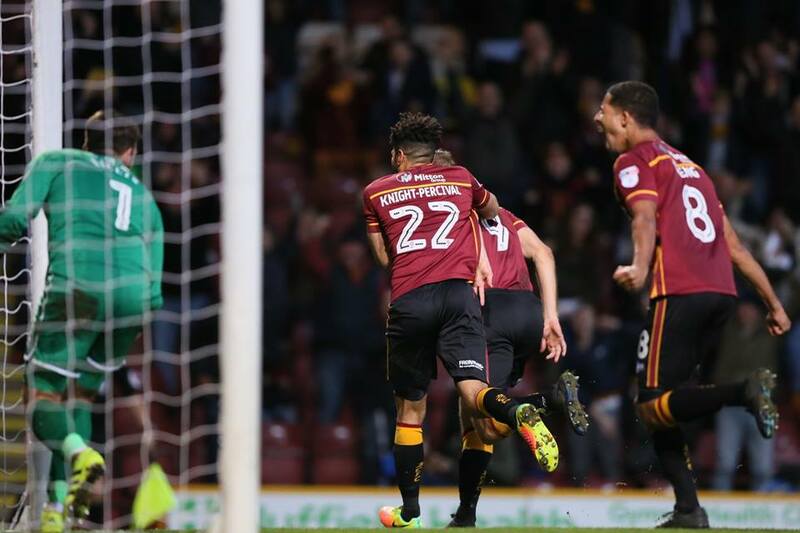 WOAP writers Gareth Walker, Nikhil Vekaria, Damien Wilkinson and Phil Abbott share their views on the first half of Bradford City’s season. How would you rate the first half of the season out of 10? Gareth: 8/10. Far better than I’d expected given all the upheaval in the summer. To be sitting where we are now with, may I add, the potential and basis to progress further is fantastic. The football has been a joy to watch at times too. Still, I’d have given us a 9/10 had we turned our dominance in certain games into victories instead of draws. The lack of a goal scorer is still a worry too as is the fact that performances in my opinion are on a gradual downward trajectory. I’d like us to get back to playing the football that we were playing in the early stages of the season. Everyone who knows me knows that I’m a huge fan of James Hanson and always have been but I think that he needs to be taken out of the team if we are to do this. There’s far too much emphasis on crossing into the box at the moment and it doesn’t work enough to warrant its high usage. Damien: Definitely 8 out of 10 for me. Given the doom and gloom festering during pre-season, kicking off the season with a long unbeaten run and the current placing of 4th in the league represents a very good first half to me. Add to this the quality of the football we have seen has meant that we have had the pleasure of some very entertaining matches – certainly not the “one dimensional” fare that we were experiencing at this point last year! Nikhil: 7- I was pleasantly surprised at the start of the season, especially with the style of football, as well as the results. I really thought that Stuart may find it difficult at first, especially as he didn’t have that much time to plan for the season and also, due to the lack of backroom staff, meaning that nobody really had much experience of being with the squad over the last few years. However, I think he settled really well and the unbeaten start was a brilliant surprise to have – I thought we were superb and played some really free flowing football. I think in recent weeks we’ve stagnated a bit and that’s stopped me rating higher than a 7. Don’t get me wrong, I’d have definitely taken this position now at the start of the season but I think it’s really frustrating to have almost lost touch with the top three and allowed some other sides into positions where they may be able to catch us – especially as we looked so imperious at the start of the season. I’m certainly happy with the great start we’ve had, however it is almost a little frustrating as I really don’t think we’re far away from being even better and to lose touch with the top three is a shame! Phil: 8/10. If you’d have said at the beginning of August that by Christmas we would be in a play-off spot, then I would have bitten your hand off. 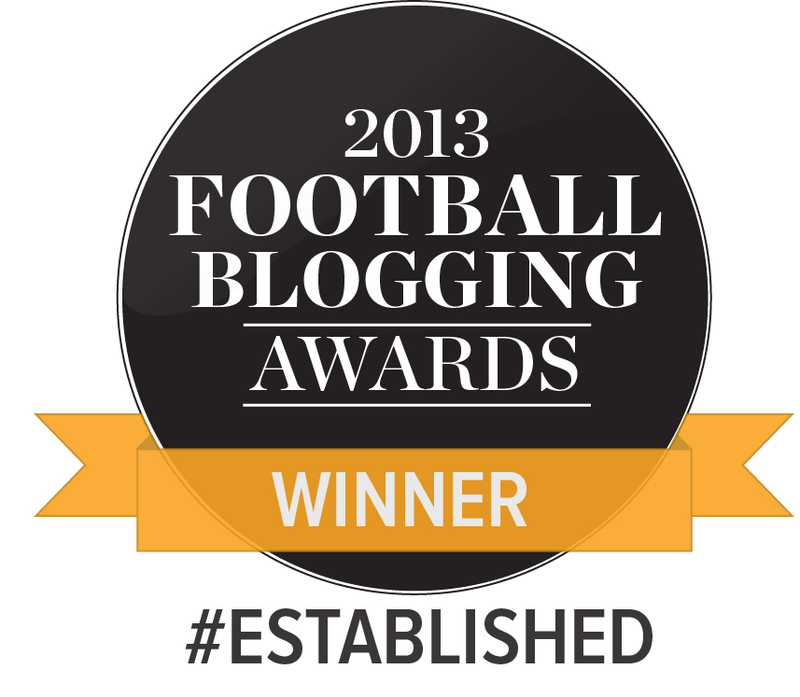 Given the turmoil of pre-season and a new look squad assembled in super quick time, this is somewhat of a triumph. What has perhaps tempered that contentment a little has been that there is so much more potential for this squad to realise and in many people’s eyes, we could have been sitting in an automatic spot if we could have put a few glaring chances away. Who’s your player of the season so far? Phil: In my mind, one player sticks out a mile: Nicky Law. His driving runs and clever distribution are a real tonic for the attacking format of SM’s preferred style. The quality of football on offer at City has improved greatly this season and Law is the dynamic midfielder that oozes class on the ball. If he can contribute with the goals too, whilst maintaining his current form, he’d be a very good bet for player of the season in my opinion. Damien: Nicky Law too. Along with others I was slightly underwhelmed when he was brought in during the close season, but I think he has been pivotal to the team so far. It has been great to see Law driving the team forward, particularly on the occasions where we have had to get back into a game and his energy, passing ability and licence to get into the box has been important. I think a mention has also got to go to Josh Cullen – he oozes quality and there have been a good number of matches where the opposition have struggled to cope with his tenacity and movement. Clearly the second half of the season will be heavily influenced by whether he remains with us or not. Gareth: Couldn’t decide between Nathaniel Knight-Percival and James Meredith. Knight-Percival has really surprised me given that he looked shaky in pre-season. I thought at the time that Matt Kilgallon was brought in because of this but Knight-Percival and his partnership with Romain Vincelot has been a revelation. They are keeping three established CBs out of the team and even though Vincelot is primarily a midfielder we have stumbled across a golden partnership there and we’d be mad to change it in my opinion, barring injury or severe loss of form. As for Meredith, what can I say? He’s our most important player by far and provides our main attacking outlet facilitated by Nicky Law (who also deserves a mention) playing narrow. We’d be lost without him and should tie him down to a new contract ASAP. Nikhil: My player of the season so far has to be Josh Cullen. I think the lad’s a different class to anything we have in our team – by far our best player! The way that he controls the midfield is hugely impressive and he just adds a little bit of quality in there. He does the simple things very, very well and never seems to give the ball away. I think if we lost him in January it’d be a massive loss. Nikhil: I think from a neutral perspective it’d have to be the home game against Sheffield United – a thrilling 3-3 draw between two very good sides in front of an electric crowd! However, for performances from City, I’d have to say either of the away games at Peterborough and MK Dons. I felt we were superb in both which was exceptionally impressive considering how early in the season it was and how many new signings were still in the very early stages of their City careers. The game down at Peterborough was also a Cullen masterclass on his return: he was simply superb. Gareth: Has to be Sheffield united for me. Two teams playing football in the right way with the upmost of respect for each other. The big crowd made for a great atmosphere too. Damien: Some good ones to choose from – the Sheffield United draw will take many of the plaudits and was a compelling advertisement for League One football. But I would also mention the away win at Peterborough, where we claimed our first win of the season in a convincing manner as well as the emotion of the Bobby Campbell tribute Northampton fixture. Phil: Sheffield United at home. It wasn’t one for the defensive coaches to get too excited about, but it was a real ding-dong battle between two teams who just didn’t know they were beaten. The game was fit for the Championship, and one of the most entertaining league matches I can remember for some time. Damien: James Hanson’s late winner at Wimbledon has got to be well in contention. The second half typified the great team spirit that Stuart seems to have instilled and the celebrations in both the away dug out and the away terraces spoke volumes. Phil: I think Hanson’s winner at Wimbledon stands out for me. The lad gets so much stick (let’s not go there today) and the timing and nature of the goal was superb. Can we have 15 more please James? Nikhil: It’d have to be Mark Marshall against Coventry: a great hit and finish by a player who has looked totally different to last season (albeit, his chances then were very limited!) 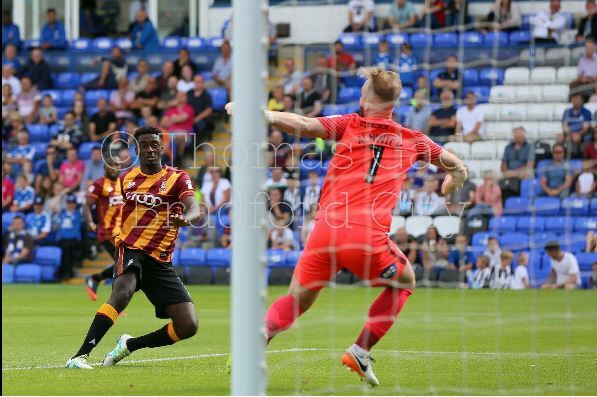 A mention for Tim Dieng too, who’s finish against Sheffield United was superb! Gareth: Probably Meredith’s header in the six yard box against Bristol Rovers – when would he ever have been that far forward under Phil Parkinson? Marshall’s screamer against Coventry wasn’t bad either! Honourable mention also to Hanson’s header against Wimbledon. You’ve got to love a last minute winner. Nikhil: I think it’s the same old story really- the inability of the team to score goals. I think it’s been even more disappointing this year as players like Jordy Hiwula and Marc McNulty seemed like quite promising signings and whilst neither were ‘proven’ as such, they both had pretty good pedigree and had had decent goal records in certain points of their careers. Another way that its annoying is the rest of the team really does look so good, it feels like we are just a striker away from really being able to challenge at the top of the league. I do feel it’s something that really needs addressing once the window opens in January and I do worry that if it isn’t, all our good work at the start of the campaign might be undone and we may fall away. Phil: I’m going to be accused of being ‘obsessed with Bolton’ here, but the game at their place was a real disappointment. It was a game we ought to have won, and Bolton were there for the taking. Add the Parky factor and it meant such a lot to many fans to get one over on the former boss. Damien: As has been well aired the continued frustration of not killing teams off when we have dominated has been a source of much frustration; the fact that the signings of Haris Vuckic, and to a lesser extent Marc McNulty, have not managed to force themselves into the reckoning to help address this has probably been my biggest disappointment so far. Gareth: The lack of goals when our play has warranted so much more. Need I say more? Damien: The emergence of Romain Vincelot in a central defence role has certainly been amongst the surprises. What initially looked like a stop-gap solution has turned into something which seems to work. Some of this must be down to how Vincelot has gelled with Knight-Percival and I have been impressed with how well they have coped with some of the more physical sides such as Millwall and Bolton. On the flipside the concept of a City team minus Rory McArdle has also been a surprise. You do wonder what this might lead to in the New Year – despite performances to date in defence (and hopefully a one-off midfield blip vs Southend at home) a scenario of McArdle returning with Vincelot pushed into midfield to replace Cullen’s departure might be one possible permutation. Nikhil: I’d say the biggest surprise has been the partnership of Vincelot and Knight-Percival at the heart of the defence. When Vincelot signed I expected him to be great, but as a central midfielder. Knight-Percival looked shaky in pre season and I had my concerns about him. However, they’ve both been superb together at the back and it looks a great partnership between two very good players. They also love to play it out from the back, which I think encourages a very attractive style of play. Gareth: The partnership of Vincelot and Knight-Percival at the back. After preseason I saw Knight-Percival being a bench player and I expected Vincelot to be influential elsewhere on the pitch. Phil: We didn’t get soaked at Gillingham this year. Where do you think City will finish? Phil: The January window will be crucial. If we can land a clinical goalscorer (and I know they are few and far between) I still think automatic promotion is a possibility, but play offs at worse. If we still have the same strike-force when the window closes, I can see us finishing just outside the play offs or perhaps just sneaking in. Gareth: Play offs. The top three are pulling away now. It’s a shame that we haven’t been able to stick with them but we have to make sure that we cement our place in that top six. Nikhil: I think this is a tough one to answer without knowing what will happen in January. I think Sheffield United, Scunthorpe and Bolton will finish as the top three and will be hard for anyone to catch. Damien: I think the play offs will be the most likely outcome, as you would currently struggle to see Sheffield United or Bolton being dislodged from the automatic spots, or we may well also see another team put a run together and force their way up the table. Overall I think we face a difficult couple of months to keep pace and recruitment in the January transfer window will also be critical, particularly should we lose Josh Cullen. Whilst the talk of a goal scoring striker hangs over everything I really think the key to success in the second half may be more linked to getting a higher return from the rest of the team, particularly the midfield players. 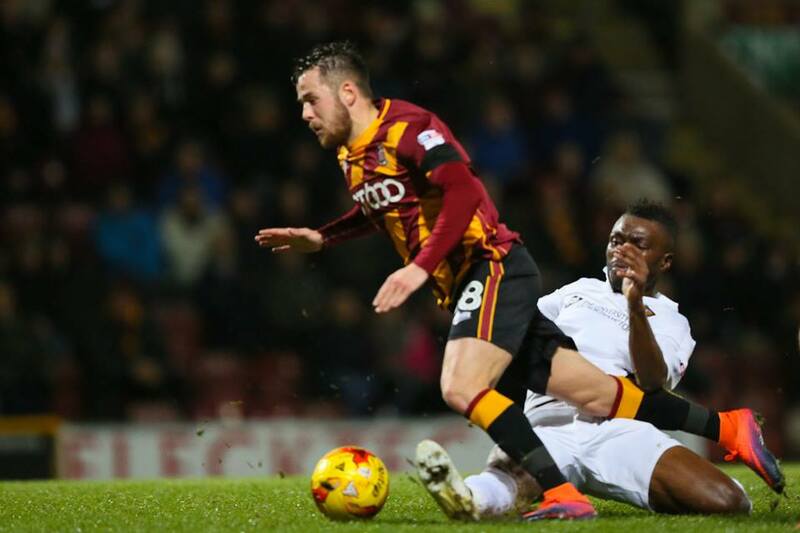 ‹ Who is the Bradford City king of assists? Great article with opinions which is a key element to any sport. Damien’s final sentence sums up the vital component to how our season may progress in my humble opinion. I have said it before, our midfielders and defenders must score more goals if we are to sustain a promotion push. I am loving this season and I believe that we are a better team with Hanson in it. He holds up play so well and is important when defending corners and free kicks. Oh, and he scores some goals too! I am going to be controversial here as I believe that we need two wingers playing regularly for us to improve our league position. As good as Law has been, he drifts infield too often and massively distorts the balance of our team. With Meredith being an attack minded full back, we are too often exposed down our left hand side. Give Morais a run in the team and shift Marshall to the left wing. Regarding marks out of 10, I would say Nikhil has it spot on with a seven. Given our current league position and points haul, it reflects perfectly that we are where we deserve to be. Of course we can improve, yet we all appear to agree – January activity will have a massive say in how the second half of the season pans out. Good, honest comments from the WOAP team, again. 6 1/2; NOT ENOUGH GOALS OBVIOUSLY. POSITION END OF SEASON 4/5TH. I do enjoy the measured reports and features on your site. Still optimistic, City will achieve promotion this time but not sure how! 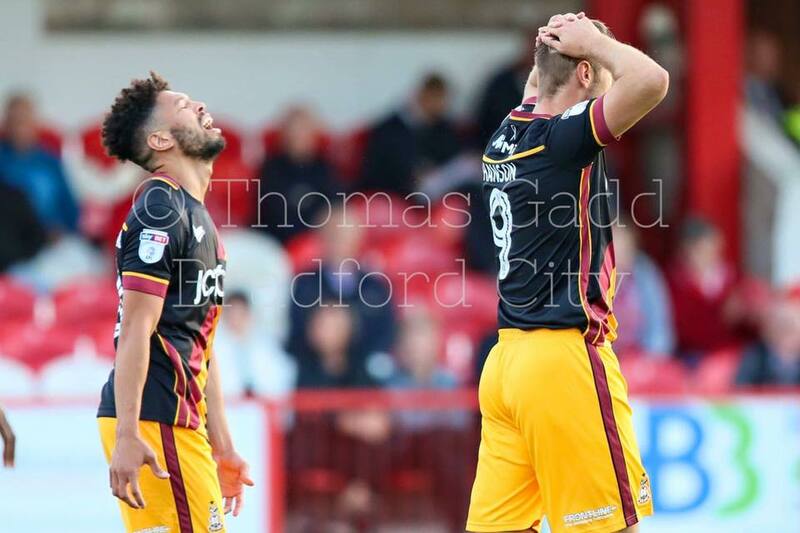 I thought City’s controlled football at Walsall in the first half was as good as I have seen for many a year but when the game opened up in the second half the team’s inability to pick off relatively straight forward chances was cruelly exposed again. Whatever the criticisms, for me James Hanson works as hard as anybody all over the pitch and is one of the best layers off of the ball in football at the moment – classic stuff at the Bescott off his head, body and feet throughout the game. Pity others aren’t always capitalising on this. 6. Must do better. People are assuming the good start balances the average results over the last 6 or 10 games. They don’t; for a team with promotion aspirations they are worse than anyone on here realises. 8 points from the last 6 games is an average of 1.3333 per game. Times by the 24 games left gives 32 points. Add that to the 37 we have, and the projected total is 69. In the last 10 years 69 has been good enough to make the play-off’s only once! The average needed is 74. Over the last 10 games the average is only slightly better at 1.4, suggesting we’ll finish on 70 or 71 points. “Have your hand off at the start blah, blah blah.” is right enough; I think McCall has done wonderfully well; but this division seems even worse than last year, and how many City would happily to see us finish 10th now? I also wonder how midfielders can be made ‘man of the season so far’ when the midfield clearly is not doing enough to win games. Law and Cullen are great players, but for all the lovely football our build up often slows to a standstill, allowing the opposition to flood defence. We are relying on Hanson as a defender as often as we were last year, and I reckon the number of goals given away from misplaced passes is also about the same. On a positive note we still look to have a lot of potential as a team than we did last season; but the team has to improve sooner rather than later for any chance of even a top 4 spot. Got to love City fans – sitting in 4th after a summer of turmoil = “must do better” ! I’m glad you’re not my boss ! 9/10 struggle to see what we lose a mark for other than not putting the ball in the back of the net. We are exceeding expectations from the beginning of the season and playing attractive football. Being a pessimist I don’t think we will kick on from here and just squeeze a playoff spot at the end of the season but it’s a lottery from there! The style of play this season is revelationary and the early season games were quite brilliant. It is frustrating that we haven’t scored more goals and more recently we have found it harder as teams have set up to stop us playing. I happen to think Phil Parkinson’s tactics hindered James Hanson’s development as a centre forward – he was used as an outlet for the diagonal ball, back to goal, win the header and hope a City player picks up the loose ball. On Saturday, although he did not have any clear chances to score himself, his headers were cushioned to teammates and he held the ball and laid it off. He is a microcosm of the overall improvements Stuart and Kenny have made during their short tenure. Given this team’s ability to keep possession and carve out chances, I don’t think we are far short of being an automatic promotion team if we can find that elusive striker who can put the ball in the proverbial onion bag. City vs Bolton in the L1 Playoff Final at Wembley!